I wish I had known about Adorable Kids when I was looking for dresses for my girls to wear for my sister’s wedding! I am in LOVE with all the pretty Flower Girl dresses. If or when my other sister, Jillian, gets married, I know where we will be looking first! Â I don’t think I have ever seen anything so cute before. They will look like princesses! You would think that a flower girl dress would run you over a hundred bucks, but I was pleasantly surprised to see excellent prices! I don’t we could have a dress made for that price! In addition, the Christening gowns are adorable. Both my girls are past that age, but I do recall how hard it was to find a nice dress for them to wear for their baptism. I remember looking everywhere 12 years ago when Olivia was baptised and struggling to find anything in our local stores. Thankfully, we have the Internet now, and I sure would have loved to have known about Adorable Kids back then. I also had fun looking at the bridal accessories. I do plan to get remarried, but am not yet at the planning stage. The tiaras are really pretty. I wonder how I would look in one? You can’t beat the price that’s for sure and they are simply gorgeous! Prices are in Canadian dollars so US folks can take advantage of the exchange and Canadians can enjoy supporting a Canadian company. Please tell me a bit about Adorable Kids. Adorable Kids Canada – your one- stop shop for special occasion clothes for children at unbeatable low prices. 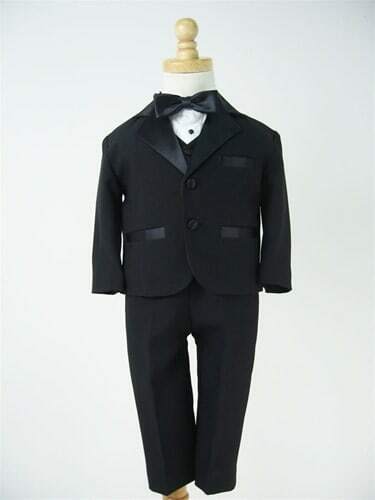 Flower girl dresses, boys suits and tuxedos, christening gowns, baptism outfit, first communion dresses, baby dresses, pageant dresses, formal footwear, tiaras and bridal accessories. Customers can walk-in to buy from our warehouse store outlet or buy online from our website. We deliver worldwide. What sets your business apart from others in your area? Join in the fun! Share the sweetest photo of your little ones on our fan page and win! The Photo with the Most ‘Likes’ wins a $100 voucher, 2 runner-ups will receive $50 voucher each, the voucher will be used against any purchase at the adorable-kids.com website! Visit the Adorable Kids Facebook Page. The photo with the most ‘likes’ in Most Adorable Kids Photo Album on June 15, 2010 at 11:59pm, wins! Disclaimer: By submitting photos to the Adorable Kids Facebook group, you are granting permissions to Adorable Kids of free use of your photos for the purposes of this promotion, for use on the Adorable Kids Website, Blog and Facebook page, without expiration of your permission. You may cancel privilege at any time with written request and we will remove your photos within a timely matter. Please submit requests to [email protected].